ResponsiveO - Multipurpose Joomla Template creator. Perfectly scaleable, highly customizable, responsive. Don’t restrict yourself to single templates. ResponsiveO lets you quickly build a customized site and get it out there for the world to see. It will fit every site – big or small. ResponsiveO gives you all the features that you need. 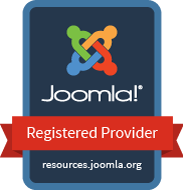 ResponsiveO is the highest configurable joomla template. Don’t restrict yourself to single templates. ResponsiveO lets you quickly build a customized site and get it out there for the world to see. All your visions in your mind are just a few clicks away from the screen.